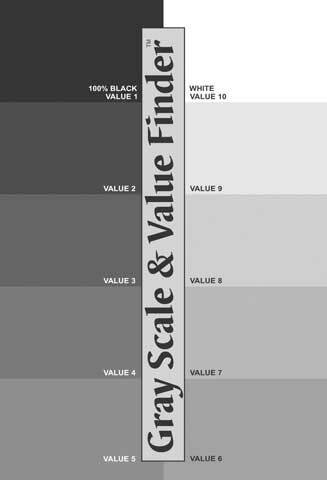 Gray Scale and Value Finder Color Wheel Co.
An invaluable tool for artists, teachers and students, the Gray Scale and Value Finder allows users to identify the value of blacks, whites and colors in all media. Ten swatches, from 10% black to 100% black, are each accompanied by a cut-out shape for value and intensity comparisons. The Finder can also be used as a guide to making colors lighter and darker with varying values of neutral gray. It includes simple explanations and instructions for immediate and effective use.